The United States District Court for the Southern District of New York in Manhattan has dismissed an eight-year-old copyright lawsuit against Google Inc. In Authors Guild, Inc. v. Google Inc., the Authors Guild, Inc. filed a lawsuit against Google over the company’s 2004 agreement with a number of research libraries to digitally scan the books housed in each library. Since that time, Google has scanned and made digital versions of at least 20 million books available to the libraries and portions of those books available to the general public. Google, however, did not obtain permission to use the books from their copyright holders. Because of this, the Authors Guild filed a copyright infringement lawsuit against Google in 2005. 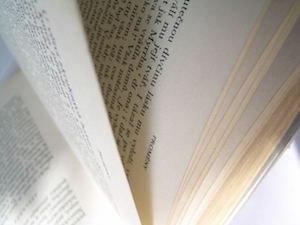 Google responded by arguing that the book scanning at issue is permitted under the fair use exception included in Section 107 of the United States Copyright Act. In 2011, the parties submitted a proposed $125 million settlement to resolve the case. The Southern District of New York rejected the parties’ proposal because it was not deemed to be fair, adequate, or reasonable. Further settlement negotiations between the parties were unsuccessful. Google then filed a motion to dismiss the case and the plaintiffs sought class certification. The trial court denied Google’s motion and certified the class. In an interlocutory appeal, the Second Circuit Court of Appeals vacated the New York federal court’s class certification and ordered the lower court to consider Google’s fair use defense. On remand, both parties filed a motion for summary judgment. According to the Southern District of New York, “[f]air use is a defense to a claim of copyright infringement.” The district court next explained that the purpose of fair use is to allow protected works to be used in a way that advances both science and art. The court stated that, although the applicable statute includes four factors to consider when determining whether a copyrighted work is being used pursuant to the fair use exception, each situation requires an individual examination. Additionally, the federal court said a key component of fair use analysis is whether the use adds something new or simply supplants the original work. Because Google’s use of the copyrighted works was “highly transformative,” the books at issue are more than 90 percent non-fiction, the works are published and generally available to the public, Google does not sell the digital books, and the digitization project makes the copyrighted books available to a larger audience, the New York court held that Google’s use of the copyrighted works falls under the fair use exception of the Copyright Act. Consequently, the court granted summary judgment in favor of Google and dismissed the case. The Authors Guild reportedly plans to appeal the district court’s decision. If you are facing a copyright or other intellectual property dispute, please contact the hardworking New York City intellectual property attorneys at the Paleudis Law Firm, LLC. The skilled attorneys at the Paleudis Law Firm, LLC have more than 45 years of experience assisting clients who are located in New York, New Jersey, and Connecticut. To speak with a knowledgeable advocate about your intellectual property or other business law claim, do not hesitate to contact the Paleudis Law Firm, LLC through the law firm’s website or give us a call at (212) 949-0138 in New York City, (914) 220-8270 in White Plains, or (203) 355-3635 in Stamford, Connecticut.